Editor's Note: This post was originally published on August 16, 2017. Housecall continues to share this piece due to ongoing requests and reader interest. If you're selling your home, chances are good you're familiar with the concept of staging your home. Real estate agents recommend your home look its best to prospective buyers, and home staging is a great way to ensure you receive top dollar. But did you know you should stage the exterior of your home too? Failing to update the look of your home's exterior can cause buyers to get a bad first impression when they initially arrive to view your home. Whether your audience are luxury home buyers or you are selling your starter home, staging the exterior of your home will have a major impact in the sale of your home. If you want to put exterior home staging to work, here are five elements you should consider tweaking. Nothing says poor maintenance like dirty windows and window screens. If your windows are caked with dust or muck from the last rainstorm, open house visitors are going to wonder what other maintenance jobs you haven't attended to. Don't give visitors the opportunity to question whether your home has been properly maintained or not; clean those windows and screens before authorizing an open house. Just like dirty windows are a real estate faux pas, so are unkempt flower beds. Weeds and overgrown bushes tell visitors you can't be bothered with the small stuff. Spend a day removing weeds and trimming flowers, or hire a professional landscaper to refresh your gardens. It is amazing what a refreshed garden can do to your home’s curb appeal. No, you don't have to replace your home's siding prior to an open house. 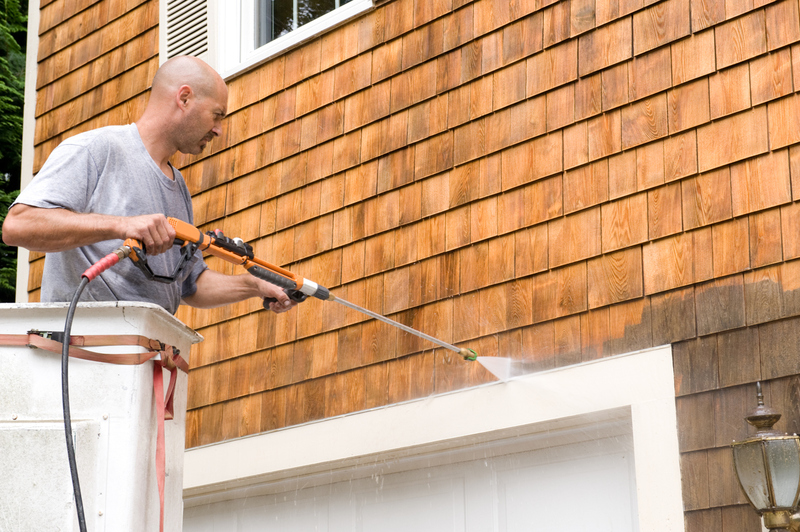 A quick power wash could be all it takes to remove years of dust and grime. You can attempt this task yourself, but it might be worth your while to hire a professional. 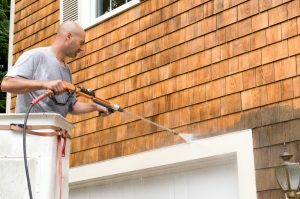 Some homeowners have been known to damage their home's siding by using too forceful a water stream. This is one task that is often best left to experienced professionals. The last thing you want to deal with is replacing siding before an open house. Something as simple as a new doorknob or address signage can give your home a refreshed look. You needn't spring for a new door; just update the faceplate and/or doorknob. Purchase new address numbers from the local hardware store and you'll have tweaked the look of your home's exterior in just a few minutes. Whether you have chairs on your front veranda or a dining set on your back deck, tired patio furniture can cost you big dollars when it comes time to negotiate with a potential homebuyer. Dilapidated patio furniture instantly gives a bad impression and can cause potential homebuyers to request replacement furniture as part of their deal. Spruce up your existing furniture with a quick power wash, or replace it if it is beyond cleaning. Simple tweaks to the exterior of your home can have a big impact on your home's final selling price. By spending just a few days improving the look of the outside of your home, you can increase the amount buyers are willing to offer and make your home the cleanest real estate listing on the block. Will you be trying these exterior home staging tricks when you list your home for sale? Charles Muotoh is the owner of dcrealestateguru.com, a full service real estate firm focused on leveraging digital marketing strategies to serve buyers and sellers of real estate in the Washington D.C. area. One of the easiest ways to decide what is needed to create a great first impression is to stand across the street from the home and it generally becomes obvious what needs to be done.